A long, long time ago, at the beginning of October 2014 to be more precise, an entry appeared here regarding the poorly written “Lustration Law”, foreseeing all sorts of constitutional issues, and ultimately ECfHR cases as a result. The entry concluded thus – “Is it a good idea to accept the “OK” when the “good” can be achieved – or a sensible thing to introduce the “OK” when the need to tackle the “bad” is absolute and immediate in the minds of the electorate? Now the issues within the legislative text sit before the Constitutional Court of Ukraine, as indeed they should – but not before the Venice Commission made comment upon the “Lustration Law” in December of 2014 – “Firstly The Venice Commission recommends that body in charge of lustration should be a specially established independent commission – not the Justice Ministry. It stresses that people’s right to a fair trial -including the right to a lawyer, equal rights of the parties, and the right to be heard in court – should be observed, and that administrative decisions on lustration should be postponed during the trial until the final sentence is handed out. Currently the law on lustration fails to contain some provisions dealing with such guarantees of rights. It also suggests the provisions of the law containing the list of positions subject to lustration should be revised, and that lustration should only apply to those positions that could pose considerable danger to human rights and democracy, and that guilt should be proven in each specific case – it cannot be considered as proven based on an official’s affiliation with a specific category of public establishment alone. All of which, again, was entirely predictable – so much so it was predicted at the time. Thus before the Constitutional Court sits a law that will clearly not find much favour within the ECfHR (considering the comments of the Venice Commission) when thousands of cases make their way forward for consideration should the Constitutional Court allow it to stand – or it is a law that it can rule as, in full or in part, is unconstitutional, ergo, requiring recompense and perhaps reinstatement for many. Perhaps the State will offer those already subjected to “lustration” the option to accept the outcome of that act (which meant most quietly kept their ill-gotten gains upon sacking or resignation), or upon reappointment be subject to criminal corruption investigation where ill-gotten gains will possibly be taken by the State. However, despite knowing just how poorly crafted the “Lustration Law” is, it appears that some MPs, even government ministers, and law enforcement figures have called, via the media, for a public turnout/protests/petition at the Constitutional Court when the “Lustration Law” goes under the constitutional microscope. Something that the Constitutional Court has not taken kindly to. The Constitutional Court has taken the view that such acts (together with others mentioned below) are an attempt to intimidate the court. “9-10 April media distributed by individual MPs, public figures and law enforcement officials. accusing judges of the Constitutional Court, threats of their prosecution and engagement, appeals to citizens to assemble at the walls of the Constitutional Court on the day of the examination of the referred case. On the eve of the consideration for such a sensitive public affair, around the sole body of constitutional jurisdiction, artificially there is created a situation of tension and mistrust. It is, in fact, to intervene in the activities of the Constitutional Court, namely the obstruction of the court cases on the constitutionality of certain provisions of the law “On cleaning power”. Attempts by politicians to extend compromising information concerning the professional activities of judges, calls for rallies and demonstrations under the walls of the Constitutional Court are nothing but pressure on the court. Recall that influence judges in any manner prohibited by Article 126 of the Basic Law of Ukraine. Naturally there is a right of assembly, and a right of expression for those that assemble, in answer to any calls made by the legislatively illiterate that crafted the “Lustration Law” – and they may rightly gather in support of the spirit behind the law, but that will not made poorly crafted legislation suddenly well crafted legislation. The Constitutional Court will fail in its duty if it does little more than raise a learned eyebrow. There is now a very visible opportunity for the judiciary to take a step in retaking its rightful democratic space – and as the statement from the Constitutional Court above makes clear, keep the oversized political feet off of the manicured judicial lawns. Should the Constitutional Court find unconstitutional fault with the “Lustration Law” (and it’s hard to see how it won’t), then those gathered would be perhaps wiser to raise their ire toward the retarded legislature that created such an unconstitutional law, rather than the court. With all “volunteer battalions” now legitimately within the National Guard, and thus The State retaking its place as holding the monopoly on force in society, it is now time that the judiciary take the opportunity to reclaim its democratic space, so often stomped upon, perverted, and abused by the political class historically. The State must be prepared to lose within its own legal system if its legislators are not capable of crafting clever legislation that remains constitutional, within Ukraine’s internationally ratified obligations, and meets the requirements of society – and to be blunt, most Ukrainian legislators are not capable. If this law, in part or in full, is deemed unconstitutional, society would be wise to appropriate the cause where is duly lies – with the legislature and not the judiciary. Post Script: Blog entries will become somewhat ad hoc/erratic for the next month despite what will undoubtedly be the usual succession of (dramatic) successes and failures within and without Ukraine, for your author is engaged upon something of a mini-tour of Europe which is unfortunately not all play. There may also be several “guest author” entries that will undoubtedly be far more informative, witty, and well written than your usual read here. By mid-May, hopefully, the daily, dull, normal service, will have resumed. “Rumour from within the SBU mill, is that amongst those of this organisation arrested, were two individuals that had been designated as assassins. Indeed there is/was a “hit list” of 4 names of public figures for “liquidation”, with $150,000 as the fee for these political killings. In order to bring matters somewhat to a close in this particular case, it seems necessary to disclose those that had a price on their head. The first, unsurprisingly, is MP Alexie Goncharenko, the price being $90,000. To be blunt, for him it is yet another in a long list of death threats over the years. He is an ambitious, capable politician who has no problem with being “contentious” or “fractious” amongst his peers or the local community. He is also, whatever his faults, visibly pro-Ukrainian and prepared to take risks others would not to be provocatively so. He traveled to Crimea to raise a large flag of Ukraine after the illegal annexation of the peninsula, and to Moscow to march in the Nemtsov commemoration, getting arrested in the process. Andrei Yusov, leader of the regional branch of UDAR was also on the list. Yusov survived an attempt on his life last year. Regarding being a name on the assassination list, he stated “I already know that my name is on the list. I can say that the list is of good, quite decent people, and I’m honored to be among them.” Also named is fellow party member Sergey Gutsalyuk, with a $30,000 pay out. Meanwhile, the SBU appears to be continuing to “mop up”, having now caught up with former deputy of the city council, the former head of the “Regional Committee of Veterans of Afghanistan”, the creator and “Supreme Chieftain” of the “Ukrainian Orthodox Cossacks”, Alexander Lutsenko. It is a question that will be answered in all probability with “Russian Tourists” arriving in Odessa as Russian tourists when the summer season begins at the end of May/beginning of June. Perhaps now, somewhat necessarily so following the SBU rolling up of so many active (in various degrees) terrorist entities/cells in such a very short space of time. With Novorussiya failing dismally to take hold, the chances of Russian military rolling down Deribasovskaya extremely low, and the terrorist bombings thus far failing to instill terror, there is now a “threat vacuum” to fill from the Kremlin point of view destabilisation – and fewer and fewer locals prepared to fill it. That ever decreasing pool of locals prepared to engage in acts of terrorism relates to issues such as most prepared to fight against Kyiv, went to fight against Kyiv in eastern Ukraine about a year ago, post the 2nd May tragedy in Odessa. Others not prepared to fight, but prepared to facilitate, recruit, or generally carry out acts more preparatory with regard terrorism, split in several directions. Some went to eastern Ukraine, some to Russia, others to Crimea and yet more remained in Odessa where many have since been arrested, with others now under the watchful eye of the SBU. Indeed those under the watchful eye of the SBU have probably increased in number since the many recent arrests, as there will be arrestees willing to do deals with the authorities – further arrests have already followed, including members of “The Church” caught in possession of munitions slightly more lethal than Monty Python’s “holy hand grenade”. It is also not in the Kremlin interest to have all sympathetic locals that are prepared to carry out, or facilitate terrorist activities, arrested now – for the sake network and logistical longevity. Indeed some may remain “sleepers” perhaps for years before “activation” (if they are ever activated), unless the Kremlin has become so desperate as to throw the subversion handbook out of the window – which it hasn’t, and won’t. Thus with many of the anti-Kyiv youth and middle aged that were prepared to fight, already in eastern Ukraine fighting with the “republics”, and the local organisations of the slightly more elderly subjected to recent SBU roll-ups, (the 3 from the Communist Party of Ukraine, all aged about 50, and the 30 Afghan Vets, whom by virtue of being Afghan Vets are not spring chickens either), locals sympathetic to “the cause” and prepared to take an active role, are an ever decreasing well from which to draw. 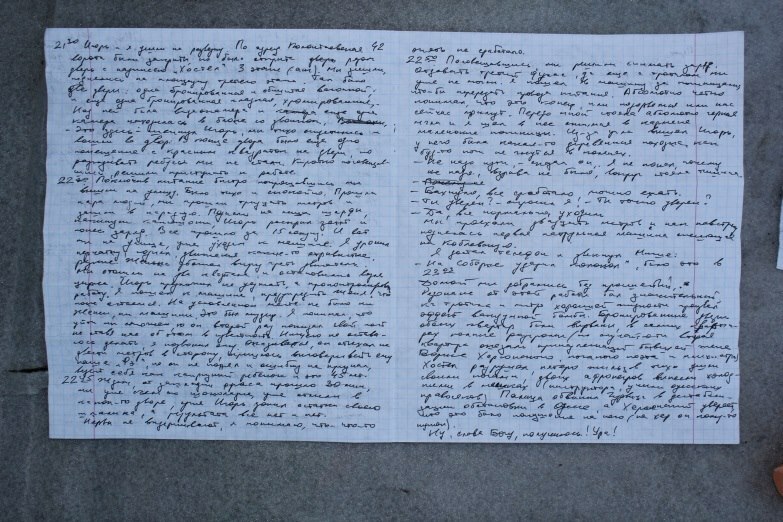 As a line from the seized diary (shown in the first link) of one of the elderly “Communist 3” stated, “Igor was sad, and bitterly joked, saying if young people do not support the acts then we have no future.” A telling line, particularly as the young people of Odessa are not about to follow the Communist Party, let alone Communists setting off bombs in their city. No longer do all roads lead to Moscow for the youth of Odessa, and no longer is there an unwritten attachment/unseen umbilical chord to Moscow amongst the youth either. This generation knows only an independent Ukraine, thus it is difficult to pull upon nostalgic sentiment that doesn’t exist for Igor and cohorts. The Transnistrians sent to Odessa to commit terrorist acts have not been particularly successful in lieu of willing locals. Several have been arrested, and one died after being hit by a car leaving the scene of a detonation. The 3, aging 50-something local Communists, were far more effective with their 10+ bombings. With the first anniversary of the 2nd May tragedy in Odessa now only a few weeks away, there may well be yet more locals rolled up by the SBU that are currently under surveillance, or who are given up by those currently under arrest as part of a deal. Whether there will be anything more than solemn gatherings of remembrance that day remains to be seen. Indeed, the replacing of the current Odessa Governor who is a “Kolomoiski man”, with a “Poroshenko man” seems likely to occur after the 2nd May anniversary – simply to avoid the “president’s man” being in office if/when a bloody event to mark the anniversary occurs. Regardless of whether an incident occurs or not, be assured the current Governor will be replaced once 2nd May has been and gone. It therefore seems likely that the “active” anti-Kyiv numbers require some externally generated inflating, and thus the terrorist “Tourist” replacements external of Odessa will arrive (as tourists) at a time when tourists numbers are reaching their peak 6 or 7 weeks from now. It also provides time to pre-position any required tools of the trade/make arrangements with local “quartermasters”, as well as provide the training to use such tools effectively (5 from 28 explosive devices thus far in Odessa failed to go off), for those who may get beyond assignment to the eastern front, and make their way to Odessa under deniably nefarious instruction. Aside from the people arrested, a lot of munitions and weapons have been seized amongst the terrorist entities/cells in Odessa, and they too must be replaced. What the use of “Tourist” in this entry doesn’t mean, however, is that all the “Tourists” will leave Odessa having safely arrived having done what they were sent to do. Some will be tasked with staying – for some time. Nor does it mean all the “Tourists” will become immediately active. This is, as has been written here many times over the past 18 months, a long game. At least a decade of incidents is ahead in varying levels of intensity. Despite any desire to make a “statement” on the 2nd May anniversary, there are much longer term destabilising considerations too. Amongst those that arrive, some will be far more “expendable” than others – and those required for an extended period cannot all arrive as new employees of Russian firms/Kremlin friendly firms, freelance/accredited journalists and other standard ploys. Keeping track of the 3 to 5 people “Tourist” cells arriving in drips and drabs before setting up shop “Tourists”, is not going to be the easiest of tasks – and surely not all will return from whence they came after a few weeks in the Odessa sunshine. Last week an entry was published regarding the probability that amongst other laws, Ukraine was to ban Communist and Nazi symbolism – an entry that went to great pains to anticipate and forewarn that any such “decommunisation” legislation would be extremely poorly crafted, and in short, close to an unambiguous legislative car crash. And so it has come to pass – as predicted – due in no small part to the complete absence of academic, civil society or legal input, “issues” there most certainly are going to be. In short, as is almost always the case when Ukrainian politicians, who are incapable of crafting decent legislation alone, do so, the result is a legislative car-crash that will undoubtedly require substantial repairs/amendment to be anything like as clever as the legislation could have been had external input been sought from the outset. The bill (2558) on condemning the Communist and Nazi totalitarian regimes and prohibiting their propaganda of their symbols, as passed, raises questions to be asked over both the inclusiveness and exclusion of certain symbols and entities that are banned – or not – and many other issues raised in the opening link to this entry. It must surely come close to infringing democratic rights of freedom of expression, if not challenging the plurality of democracy itself by de facto silencing the Communist Party. ECfHR appeals anybody? Another bill (2538) passed yesterday, “On the legal status and honouring of fighters for Ukraine’s independence in the twentieth century“, is almost entirely political expediency for its author. Whilst Winston Churchill may have said, “History will be kind to me, for I intend to write it“, he didn’t go on to say that nobody could question or challenge the history he went on to write. So when Yury Shukhevych drafts a law seemingly banning the questioning, or raising prickly issues concerning the acts of the UPA, and by extension of his father Roman Shukhevych a UPA commander, clearly the historically controversial UPA, OUN (and other “independence fighters” of perhaps dubious and eclectic nature), that are seemingly just lumped together in the bill, seeks to do little more than exonerate and raise these entities from criticism – despite some very dark incidents within the histories of these entities. So far, so truly badly crafted the legislation, much in need of amendment after proper consideration. Despite the exceptionally low legislative bar set thus far, now for two better “decommunisation” laws. The first addresses a point made in the first link in this entry. Bravo to each MP that voted for Bill 2540, throwing open the KGB archives from 1917-1991. A very necessary deed when dealing with the past. The law (2540) on “Access to the achieves of repressive bodies of the Communist totalitarian regime from 1917 – 1991” is not bad at all. Indeed it takes its lead from the other post-Communist states that have already thrown open their Communist archives. Very good. Very, very good in fact. There is however a possible “but”. That “but” relates to integrity. The issue is that these archives will be transfered to the custody of the Institute of National Remembrance, which is hardly an a-political body in its current manifestation and under its current head, Volodymyr Viatrovych. As such, some hero-worshiping/corroborating archive material may receive much easier access than that which demonises heroes under “rehabilitation” – those perhaps to be found within Mr Shukhevych’s law for example. For this law to reach its true potential, access must be unfettered, and the sh*t allowed to fall where it will. The last of the 4 “decommunisation” laws (2539), “on remembering victory over Nazism in the Second World War” presents issues too. The most important parts relate to the prohibition of the falsification of history, specifically mentioning WWII. Rightly so. The deliberate falsification of history is not something that should be taught in the classroom. However, history is not always entirely straight forward – particularly when parts of history, or the documented knowledge that led to certain historical decisions and actions, remain classified. There is also the matter of historical interpretation – be those interpretations poles apart, or nuanced. Who therefore, is to decide what is, or is not, historical falsification in the context of Ukraine and therefore future Ukrainian education? Clearly no longer overly Communist friendly narratives are to continue. The ever increasing distance between Russia and Ukraine will continue to grow. But will it follow a generally accepted “European” historical narrative, or a narrative as directed by the Institute of National Remembrance, or a different Ukrainian body? As has been asked on many occasions within this blog over the years – Who decides? And more importantly, who decides, who decides? The main points of the 4 laws can be found here, as positively spun by the Institute of National Remembrance. A more cautious, and indeed, with the exception of law 2540, critical response to the laws, you have just read. Having quoted Winston Churchill once, it is fitting to conclude with yet another quote from him – “Study history, study history. In history lies all the secrets of statecraft.” However, to get the most from studying history you have to be able to test and question it, in order to understand it. Only a warped State can emerge from a willingly warped interpretation history. It will then go on to practice warped Statecraft. Who decides who decides upon what and how Ukrainian history will now reshape itself within the Communist years, is a particularly sensitive issue with ramifications for the future Ukraine – and a few of its neighbours. Nevertheless, Ukraine must confront its past in order to face the future. Let’s hope it does both with far more care than that employed in the drafting of the above laws. Odessa SBU continue rolling up terrorist groups – Timing? Regular reader of this blog will probably vaguely remember ad hoc, but nonetheless numerous links to SBU arrests of terrorists over the past few months in Odessa. Some in the city centre, others at Malinovsky Market etc – but a clear effort being made from December 2014 onward can be seen. Most recently, as mentioned a few days ago, 3 Communist Party of Ukraine members were arrested in the city, subsequently admitting to 10 of the 28 explosive devices planted around the city over the past few months. Amongst the timers, explosives, sawn-off firearms and paraphernalia recovered, an intelligence/secret service agency’s dream – a diary of one of the bombers describing events, providing “call sign/nicknames of connections, logistics and cash etc. The problems of employing amateurs at the coal face and all that. 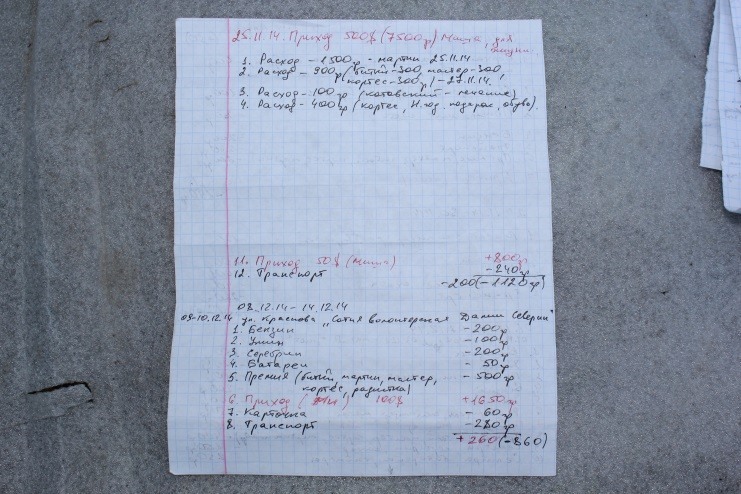 No doubt the SBU are more interested in the diary than the amount of munitions recovered, or indeed the number bombings detected. Those who believe they are identifiable from what is written in the diary, will now be somewhat more nervous/careful than they were before. There is, of course, a distinction to be made between terrorists and separatists/anti-government sympathisers. Whilst the push and pull factors attracting both to “the cause” may be (in part) the same, the difference is clearly that of personal limitations when it comes to just how far one is prepared to go for “the cause”. Waving a flag, going on marches, and being generally sympathetic toward any separatist cause, is naturally not terrorism. Actively being involved in acts of terrorism, or actively being involved in a preparatory/facilitatory act, is. Overnight, the SBU arrested another 30 people for terrorist matters, huddling together under the banner of the “Odessa People’s Republic”. Explosives, machine guns, munitions, scopes etc seized in fairly large quantities. These people operating under the broad banner of the “Odessa People’s Republic” are in truth are a mixture of the “Orthodox Cossacks” headed by Anatoly Kolomiitsev, and Afghan Veterans headed by Alexander Lutsenko. The “Odessa People’s Republic” being an umbrella identity to all intents and purposes. The initial phase of the “Odessa People’s Republic” plan, was/is apparently to blow the Zatoka and Lighthouse bridges and then forcibly/violently seize public buildings thereafter – akin to the early days of the Donetsk and Luhansk “Republics”. These 30 or so arrests made, it is now possible to state that the SBU have been following this group for some considerable time, monitoring their regular meetings at the Odessa Theatre and Art School at 103 Levitan. A room there rented since 2012 by the “Odessa Cossack Districy SBI, Orthodox Cossacks”. Again – nothing quite like making it difficult for the Security Services/intelligence agencies. Thus the question arises, that whilst the public would expect the swift arrest of active bombers midst an on-going campaign, per the case of the 3 Communists bombers – why now have the SBU decided to roll-up the “Odessa People’s Republic” coalition of Orthodox Cossacks and Afghan Veterans, having watched them for so long? There are many possible reasons as to why the SBU chose to roll up the “Odessa People’s Republic” now. The most obvious is the rapidly approaching first anniversary of the 2nd May tragedy in Odessa (which saw numerous Orthodox Cossacks arrested thereafter, for participation in the riots). A bloody and deadly anniversary, of course, sits high upon the security services/intelligence agencies risk analysis. It may have been because President Poroshenko visits Odessa today, and whilst there have been no attempts at assassinating any high profile political figures thus far, in the case of the “Odessa People’s Republic”, that was perhaps not likely to continue. Rumour from within the SBU mill, is that amongst those of this organisation arrested, were two individuals that had been designated as assassins. Indeed there is/was a “hit list” of 4 names of public figures for “liquidation”, with $150,000 as the fee for these political killings. The four names upon the list, however, at the time of writing have not been stated officially or even in unofficial passing. Undoubtedly, however, they will make their way one way or another into the public realm over the coming days. Great care should be taken to avoid direct linkage between the Presidential visit and any such list however. As has been stated, the SBU have been watching this group for a long time prior to acting, and the Presidential visit was announced at short notice. Any such list may have been in existence for some time, and perhaps the names thereon known to the SBU for almost as long. It is perhaps far more likely that the list contains local political leaders, rather than national leaders that almost never visit Odessa. It may also be that the SBU decided to roll up this organisation now, prior to the Orthodox Easter weekend. A romantic linkage to the 1916 Easter Uprisings in Ireland perhaps muted during one or another monitored meeting at the Odessa Theatre and Art School. Perhaps it is simply a case that the SBU, believing it had no more/little more intelligence to gain by allowing the “Odessa People’s Republic” to continue to operate, and with the President arriving in the city today, rolling up this porganisation the day before, is guaranteed to equate to lots and lots of Brownie Points for the Odessa SBU (and Kyiv SBU that assisted in the actual arrests and subsequent searches). Whatever the reason – there is a reason for rolling up the “Odessa People’s Republic” now, rather than to let it continue to run under SBU surveillance. More broadly however, whether planned, or coincidence, this past week has seen a crescendo of SBU activity resulting in more than 60 arrests for terrorism and promoting separatism, rather than the almost fortnightly announcements of terrorism/separatism related arrests in small numbers, since the December 2014 SBU operations began. Undoubtedly a busy and difficult summer ahead for the SBU, when “Russian tourists” to Odessa maybe either “Russian tourists” or in fact “Russian Tourists”. As has been mentioned far too often – because it has been far too long – Odessa has not seen a senior national politician in almost a year. That is to change on 10th April, when President Poroshenko and Interior Minister Arsen Avakov descend upon the city, amongst other things, marking the anniversary of the liberation of the city from the German-Romanian occupiers of WWII/The Great Patriotic War. The Interior Minister will announce the creation of a new municipal police service, a copy of that soon to begin work in Kyiv. Thus from 20th April, competitive, transparent applications for roles in the new municipal police force will commence (without the high profile dignitaries present that attended in Kyiv for photo-ops undoubtedly). By the 1st June, therefore, Odessa will have 3 separate police services. It will have the National Police (including the criminal investigation, “special” units, etc. ), its own newly formed and recruited Municipal Police, and the Military Police. “President Poroshenko has moved swiftly to appoint an Acting-Governor in Dnepropetrovsk – he has temporarily appointed the Governor of Zaporozhye, Mr Valentin Reznichenko. However, prima facie it would appear to be little more than an act of desperation – no offence meant to Mr Reznichenko. Mr Reznichenko has two major pluses as far as the President is concerned. The first is that Mr Reznichenko was born in Dnepropetrovsk and is therefore a local – at least by birth. No parachuting in of an otherwise “alien” Presidential loyalist required – even if few in Dnepropetrovsk will actually know who Mr Reznichenko is. That said, when other household names from Dnepropetrovsk consist of the likes of Yulia Tymoshenko or Viktor Pinchuk, choices to replace the (in)famous Igor Kolomoiski with a similar “big name” are necessarily more than a little limited, if not politically impossible. Having run out of trusted and loyal friends of his own, almost all those placed within the Presidential Administration or heading ministries, the President has been busy filling other critical posts – and the posts of Governor will become critical when “decentralisation” occurs at the year end – with “friends loyal to friends that are loyal to him – as noted above. To a degree, a deniable power vertical – or at least a power vertical that is deliberately one step away from blatantly so. That said, regional governors are appointed by the President, and ever has it been thus, that regional governors have been loyalists to the presidential incumbent of the day. Perhaps more important than ever, is loyal regional governors to the President, if “decentralisation” is not to mean losing control of the nation (or parts of it) entirely. This in turn raises questions over the proposed changes to Constitutional and electoral law that envisaged a move to elected regional governors – though it seems unlikely that this issue will be dealt with any time soon – political expediency. Anyway, the current Odessa governor, Igor Palitsa is neither friend, nor friend of a friend, of President Poroshenko, and is therefore due to be exchanged as the slow but sure presidential maneuvering continues. With all senior politicians having steered well clear of Odessa for far too long, it seems highly unlikely that the President would miss the opportunity to replace Mr Palitsa whilst here – it may be another year before he (or any other senior politician) bothers to come back, after all. The question is therefore one of potential replacement – and the President, as ably displayed by the desperate moves in Dnepropetrovsk, has run out of “loyal friends”, and the well from which to draw “loyal friends of friends” seems also to be running dry too. An issue further complicated by a lack of “loyal friends of friends” from Odessa. Appointing a suitable, local, loyal “president’s man” in Odessa is therefore somewhat problematic when keeping within the current “1 person removed from the body” framework – in fact it cannot be done. The “local man” with any degree of loyalty to President Poroshenko – or political allies – is clearly problematic. Top of a very short list of those that tick at least some boxes would probably be Alexie Goncharenko, who ran the presidential election campaign for Poroshenko in Odessa last year. Having been Chairman of the Regional Administration prior to becoming an MP for Block Poroshenko/Solidarity, and a long serving local deputy (for two parties and an independent), he knows very well, who’s who, what’s what and who’s doing what. His appointment would upset to one degree or another, the local elite such as Sergei Kivalov, the current Mayor Trukhanov, and many others. There is also the possibility of the ex-Mayor, ex-UDAR MP Eduard Gurvitz, who is currently kicking his unemployed political heels. His appointment would be a disaster for Mayor Trukhanov, as there is much bad blood between the two men. However, as the “Old Guard”, he is likely to accommodate the likes of Sergei Kivalov far more than current Governor Pilatsa has, or potentially, more than Mr Goncharenko would. Does President Poroshenko owe Klitschko’s UDAR still? If so, Gurvitz is a likely appointment. If not, then from his own party, the ever ambitious Goncharenko is likely to provide the loyalty required for a step up upon the political ladder, but also cause large ripples within the Odessa elite’s pond. Aside from these two, only one or two other remote and unlikely local options presenting themselves – and it is doubtful they could control the ex-Regionaires/Opposition Block MPs, the behind the curtain business elite, a nefarious Mayor that remains far too close to his mafia past (and associates), not withstanding the ability to actually force the implementation of reform policy. Of course, 10th April may come and go with Governor Palitsa remaining in post – but as the senior politicos rarely leave Kyiv to visit the provinces, it seems unlikely that the President will miss the opportunity to personally replace the Odessa Governor whilst in the city, inserting one of his own(ish). Only in exceptional circumstances does this blog become even remotely personal in its content – and this will be one of few occasions. It is very rare that the civil society activities of this blog are ever mentioned within it – and never in detail if they are. There are reasons for that, which are mostly due to your author’s desire to avoid smudging the lines between a hobby, as is this blog – and things that actually matter, both personally and to wider society in Odessa and Ukraine. If this blog stopped tomorrow, the author would have an extra free 15 minutes each day, and you, dear readers, would have an additional 2 minutes each day to read something more erudite. However, some months ago, the blog was approached by some members of the Ukrainian academia, with specific aims, looking to reach out to the wider western academic world. There are, of course, several existing programmes to achieve such ends. However, in this instance it was not a matter of joining a programme, taking some grant money, and then enjoying – or not – a forced marriage with other programme participants. It was a request to find a receptive partner(s) and only then seek out the financing/grants programme. The aims, as stated as specific. Did this blog know of any suitable and approachable academic partners of repute? The simple answer was “Yes – several in fact”. Having lots of enlightened friends and acquaintances has its advantages, even if it means your author is frequently the dumbest person in the room. Thus an official (embossed letterhead paper exchanges and all that) fledgling courtship began between a highly respected UK University and a well known university in Kyiv. For now, these universities will remain anonymous, but almost daily emails are exchanged (in which this blog is included as a matter of courtesy presumably) relating to forthcoming workshops in the Autumn and Winter 2015, and Spring summer 2016. One aim is to glue together a close academic relationship, open to other western and Ukrainian universities to join should they wish (and some are already expressing interest) at the post-grad, Doctorate, Professor level. Something right up – or at least partly up – the British Council grant alley – except the British Council grant budget for 2015 has only just received its annual refill, and thus no applications for funding under the new budget have hit the British Council website yet. The blog has now 25 Ukrainian professors from Kyiv and Odessa confirmed as wanting to attend the first London workshops in the autumn, and thus is not about to wait the British Council getting its act together on-line, without looking for appropriate funding elsewhere too. This blog is fortunate to have some very enlightened and influential readers – some of whom have spent time with your author on more than one occasion, exchanging thoughts on Ukrainian politics, policy, society and all such high brow issues. It is sometime worrisome to contemplate possibly numerous official notes containing the dull, but usually accurate, comments made in various files in Kyiv and beyond. To those political, diplomatic and international NGO leaders acquainted with the author, or such readers with whom a meeting is yet to occur, should they have a few moments to rummage around their national grants/endowments/philanthropists looking to support the projection and cross-fertilisation of Ukrainian higher education at a post-Grad and above level – particularly by way of active workshops within the realms politics, policy, economics, history and law – and feel they could support, and indeed encourage participation therein, do drop the blog an email. By way of disclosure, aside from the initial match-making, and continued inclusion in email correspondence, this blog has no connection with any university involved. It’s next task will be to persuade some diplomats and practitioners to attend the London workshops too. However, in a sea of grant money flowing toward Ukraine, much of which will be spend heaven only knows how, on programmes imported, rather than created by Ukrainian practitioners, this blog is seeking access to as many sources of funding as possible, to finance albeit, a very small sum. To be abundantly clear – no funds are for the blog itself. Therefore DO NOT click on the “Donate” button on the home page of Odessatalk to sponsor the aforementioned university project – as stated at the very start of this entry, not smudging the lines between a hobby and what really matters, is your author’s generally enforced rule. Naturally any donor/sponsor of this university project, should they desire it, will get there necessary public gratitude here (and in London as protocol dictates). If they would prefer to hide their light behind a bushel – then discretion is assured. Before anybody asks, your author doesn’t know George Soros, so it is very unlikely the “inbox” is going to see an email from him asking for details of the nitty-gritty that requires funding – unfortunately. You are currently browsing the Odessablog's Blog blog archives for April, 2015.